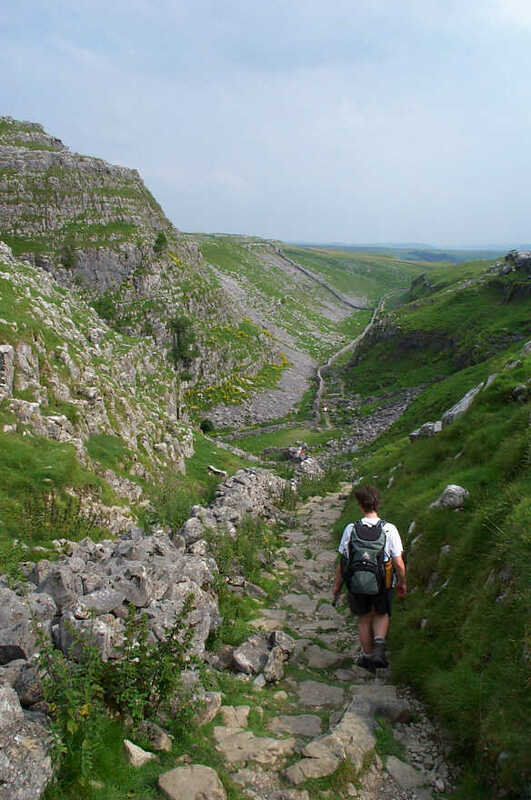 After a good second breakfast in Malham we head South along the Pennine Way and then turn left up Gordale Beck. 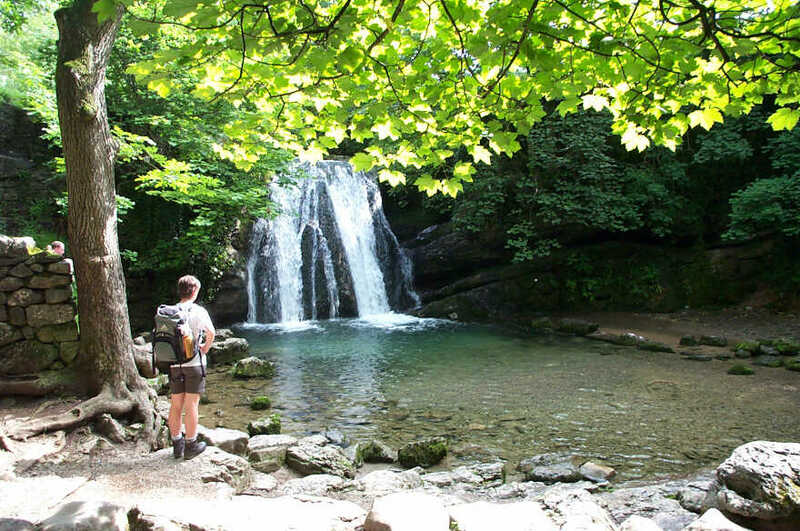 We soon enter Janet's Foss, which is a right dingley-dell. Apparently, they used to wash sheep in this pool using sacks and strong ale to ward of the cold. 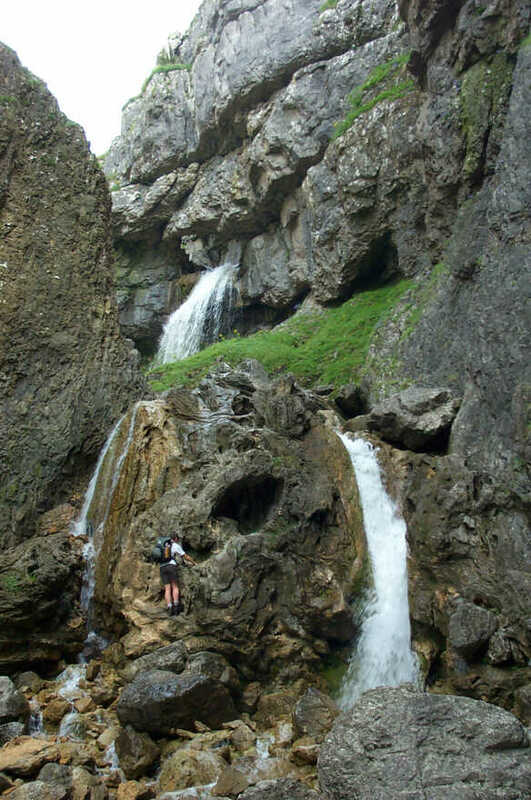 Continuing up the river we eventually turn a bend and meet Gordale Scar. 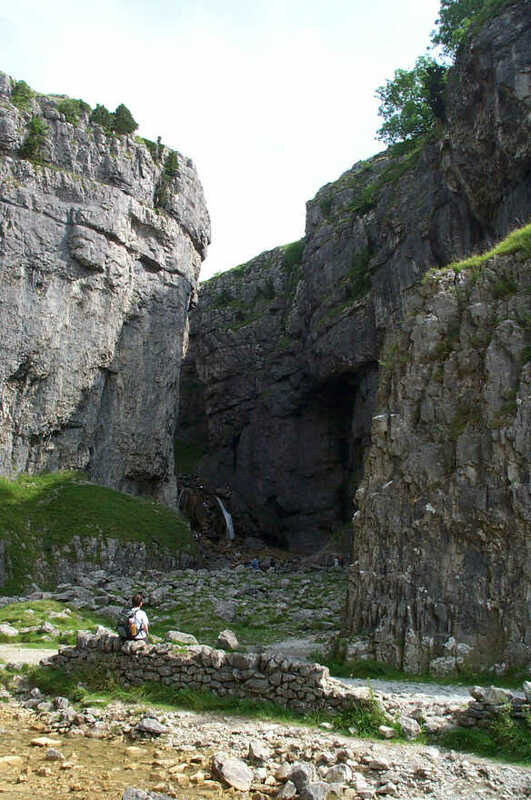 On the overhanging wall on the right were two climbers just starting an awsome bolted route. 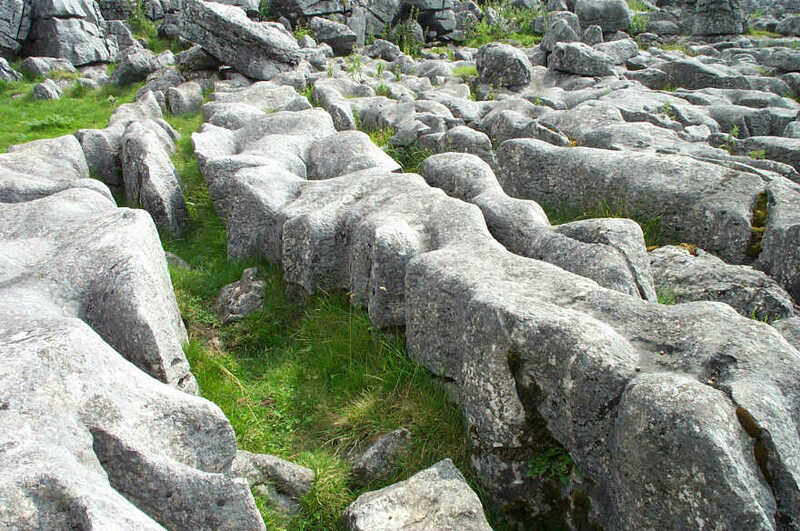 A little further in and the going gets tricky - lovely wet polished limestone! After summitting Great Close Scar we continue North to the area marked on the map as Out Pasture. We had intended to follow the path on to Darnbrook Ho but either we were in the wrong place or the gate of the moor was locked. We eventually walk a full circle round the hill taking in a lot of limestome pavement apparently designed by Henry Moore. 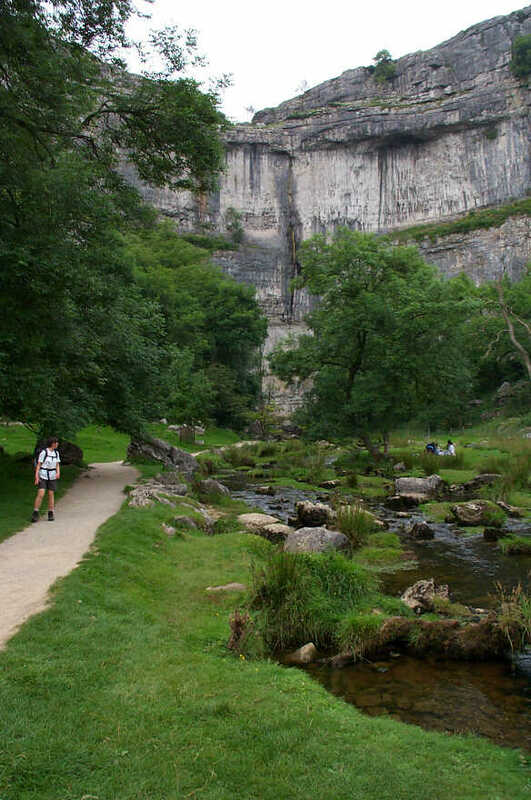 ...and finally to Malham Cove - which is very impressive and well worth the walk.